The world is full of adventure. So why not fly around and see it all? If you're anything like us, there's not enough moola in the bank to buy first-class tickets, but we have another appealing way to get to the front of the airplane. Just become a pilot! If you have someone in mind to pilot the plane this year, well, all we gotta do is get them the duds to look the part. Sure, yes, technically you need hours and hours and hours of training to become a pilot. But we've got a shortcut. 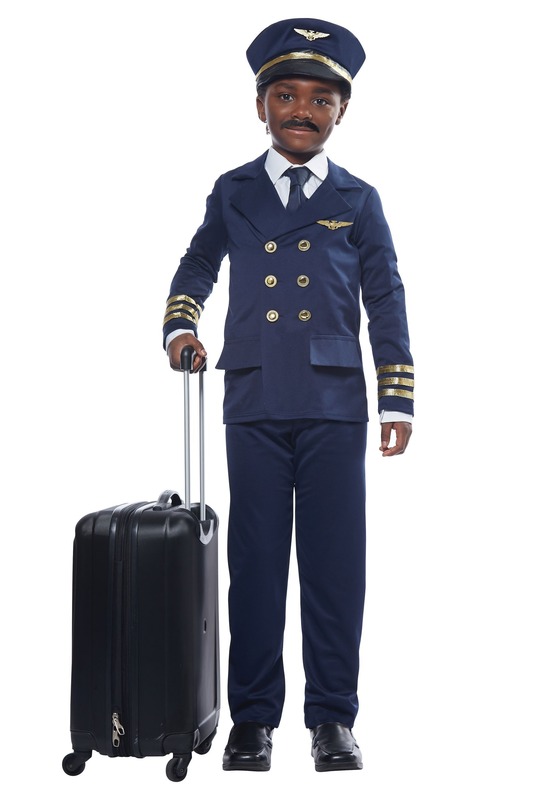 This kid's Airline Pilot Costume! With signature airline pilot style, she'll be ready to hop into the cockpit of a jet and fly the skies with aplomb. And she'll look quite dashing, too! All-in-all, she's gonna be one heckuva pilot! This costume is unisex and is great for little girls and boys who might someday want to be a pilot! 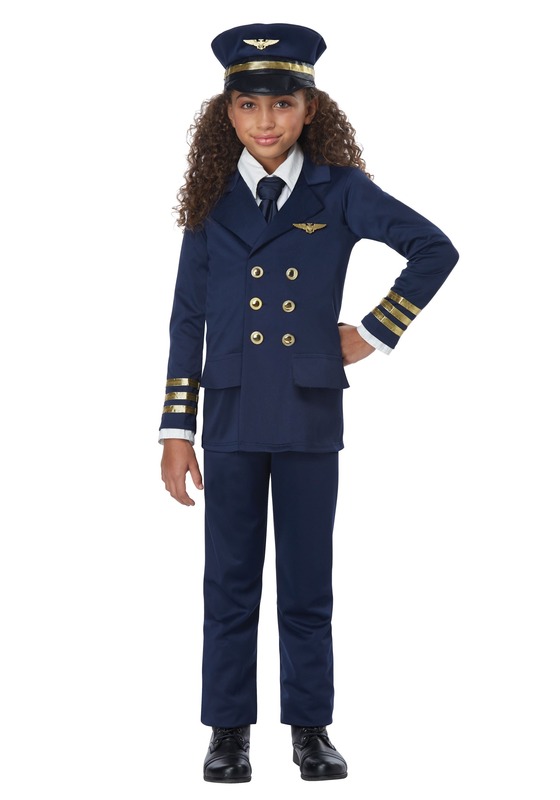 The costume top is styled like a navy blue pilots uniform, with matching pants. Gold details make it look official, and they just have to put on the hat to be ready to fly. Being purveyors of fine costumes from all over the world, we always love getting kids into grown-up costumes for imaginary fun. And what could be more fun than an airline pilot? Whether for trick-or-treat fun or for dress-up day at school, this costume will have her ready for the gig!